From double denim to print on print, it seems that the laws fashionistas used to swear by are being ripped apart by an up and coming generation of style bloggers who really embrace fashion as a freedom of expression. Regardless of whether you are looking to interpret the latest trends from the catwalk to your local car park, or simply want to have a bit of fun, fashion is about how you want to present and construct your visual identity to the world; and in a place where standing out is the new fitting in, the out dated notion of hard and fast rules to dress by are well and truly out of fashion. So it is time to rip up that rule – here are the top 6 fashion rules every plus size woman should break. The most mythical of fashion rules. For decades plus size women have been told to avoid horizontal stripes at all costs. We have seen plus size women rocking stripes this summer and unsurprisingly nothing bad happened. 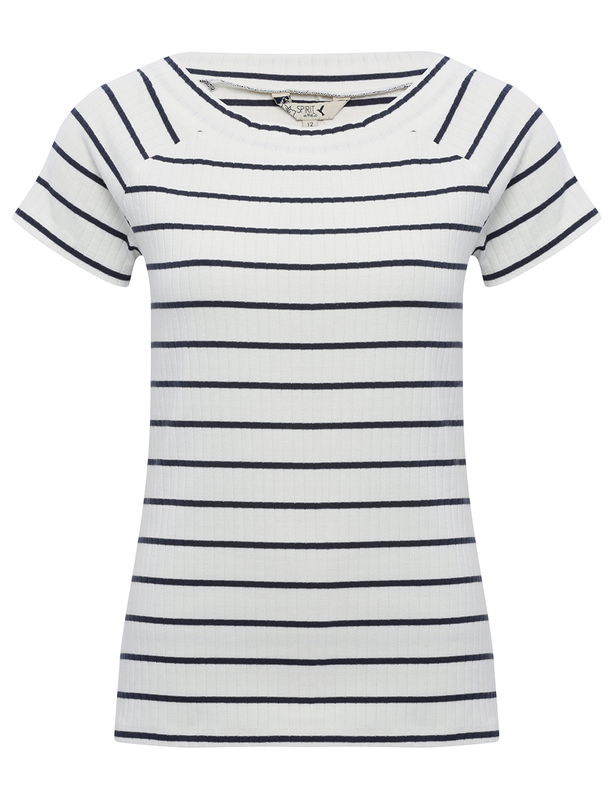 The nautical trend is one not to be missed and every woman regardless of size needs to own at least one Bretton striped tee. Team with a neutral bottom half to keep the look chic. Plus size women can and should embrace the body con. The idea that bigger and baggier will make you look smaller is simply not the case. Well fitted clothes will help you to show off your shape and proportions in all their glory. Want that perfect party look? A body con dress is a great way to show off your curves. If you want a smooth and streamlined silhouette pop on some shapewear underneath and you’ll be good to go. Learn to embrace the ‘bits’ society has told you to cover up. The derogatory way we talk about our bodies makes us forget just how awesome they are. If you want to wear a sleeveless top, go for it. There are so many great sleeveless blouses and dresses that we are constantly told to look for ‘solutions’ for in order to wear. But really, embracing your wobblier bits is the only solution you need. Most of the time no one will even notice if you have your arms out anyway. And if they do, it is more their problem than yours. We love an hour glass silhouette but, contrary to popular belief, this is not the only style a plus size body can wear. If you like to add a belt and cinch in to show off your shape then keep it up, but plus size women can also look great in drop waistlines, shifts, empire lines, androgynous styles, etc Make time to try on and play with the latest trends. One shape and proportion does not fit all. But black is slimming, right? I’m not even entirely sure this is true and, while wearing black is awesome, it is also great to sprinkle a little unicorn magic into your wardrobe too. There is still way too much black in plus size fashion, so look out for the fantastic bold block hues and beautiful prints coming out next season. Embrace the rainbow. 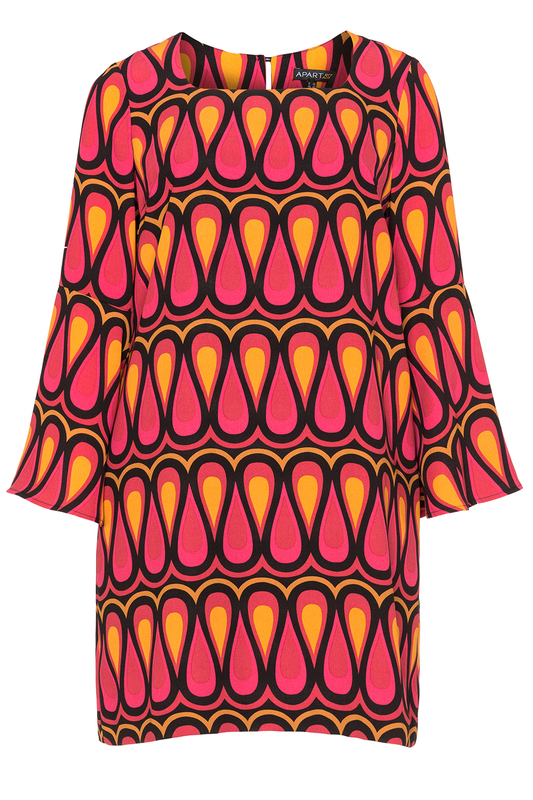 You can wear colour and you can wear print – a wallflower no longer! Shop for now. The idea that we ‘should all be striving to be the perfect 10’ has led to generations of plus size women feeling they aren’t worthy of fashion. You are. Don’t shop for the size you think you might be next season, don’t shop for the size that society tells you you should be, and if you can treat yourself remember you are worth treating. If there is one fashion rule you should break out of, let it be this one. 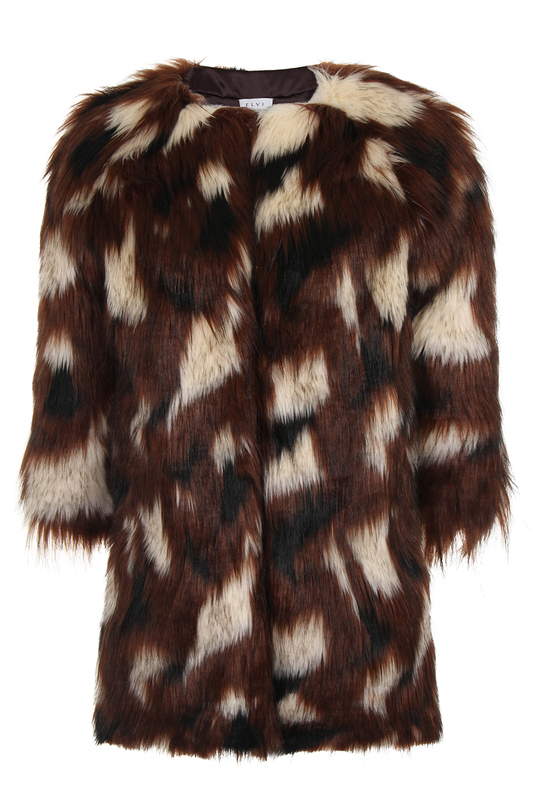 Faux fur coat, Elvi, £220.